Life is slow in remote Côtes-de Fer, in Haiti’s southeastern coast. Most people live below the international poverty line (just US$1.90 per day), and post-earthquake, international development activities bypassed the area. Malnutrition and food insecurity are widespread. Homes are crowded; children often sleep on the floor. Maternal, neonatal, and under-five mortality rates are high; thousands die of preventable causes. Few babies are delivered in health facilities, and uptake of antenatal and postnatal care is low. Mothers-to-be don’t understand why it matters. Thus, neither they nor their infants receive the care they need. Healthcare quality has traditionally been poor. Inefficient infrastructure, scarcity of trained health professionals, and lack of essential medical supplies and equipment translate to inadequate services. People rely on public health facilities to provide affordable medicines. Yet poor transportation, inadequate pharmaceutical-product storage facilities, and understaffed pharmacies engender stock-outs. Patients who cannot pay private sector prices may forgo treatment altogether, causing curable illnesses to go untreated. Healthcare facilities lack clean water, so infection is a risk. 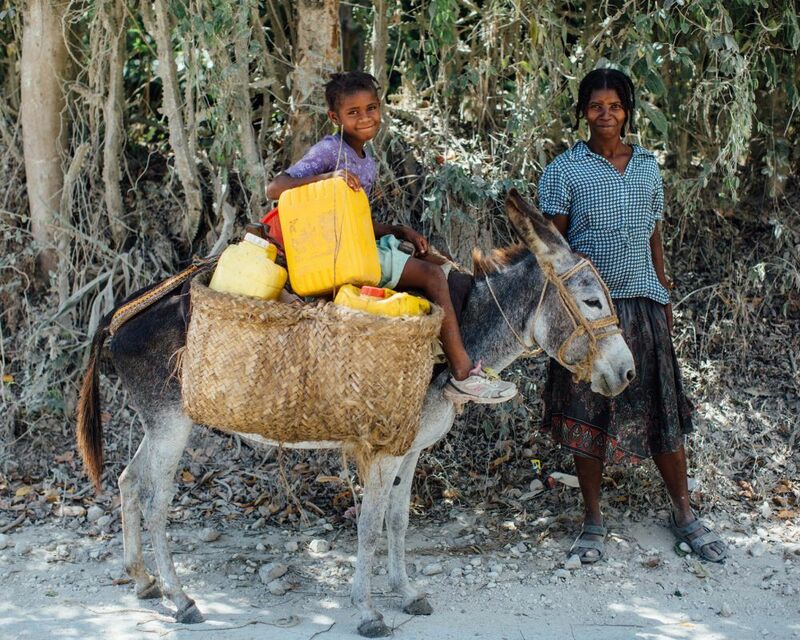 In communities where clean water is similarly lacking, it is an uphill battle for families to keep healthy. The situation is compounded by lack of usable latrines and open defecation as a norm, which contaminates community water sources. Women in Côtes-de-Fer face the challenge of raising healthy, educated children without themselves having basic knowledge, tools, and economic resources. Lack of formal sector work drives women to the less remunerative informal sector. Families are challenged to cover their children’s school costs. Even obtaining nutritious food is hard—yet women-headed families and others at high risk for food insecurity tend not to implement potentially more productive farming practices. Lack of access to resources impedes women’s potential to pull their families out of poverty. Built the Bishop Joseph M. Sullivan Center for Health and have been managing it since its March 2017 opening. Are renovating four local clinics. Purchased emergency transport vehicles and linked the transport system to resident women’s groups. Provide training to local medical staff, supplemented by workshops and mentoring by volunteer medical professionals. Provide the most commonly unavailable essential medicines and refrigerators to pharmacies; support the government to staff every healthcare facility with at least one pharmacist, including housing costs to incentivize retention. Ensure that supported healthcare facilities can maintain water, sanitation, and hygiene standards. Are working with local agents de santé comunautaire polyvalents (ASCPs; community health workers), promoting antenatal and postnatal care, testing for and treating common diseases, and teaching families health basics. Upgraded community plumbing infrastructure; supported community-led campaigns to eliminate open defecation, showing families how to construct and maintain latrines. Teach women basic business skills and entrepreneurship; support them in village savings and loan associations and agricultural activities. This helps to increase the share of household income controlled by women, both through their own earnings and by providing cash transfers. 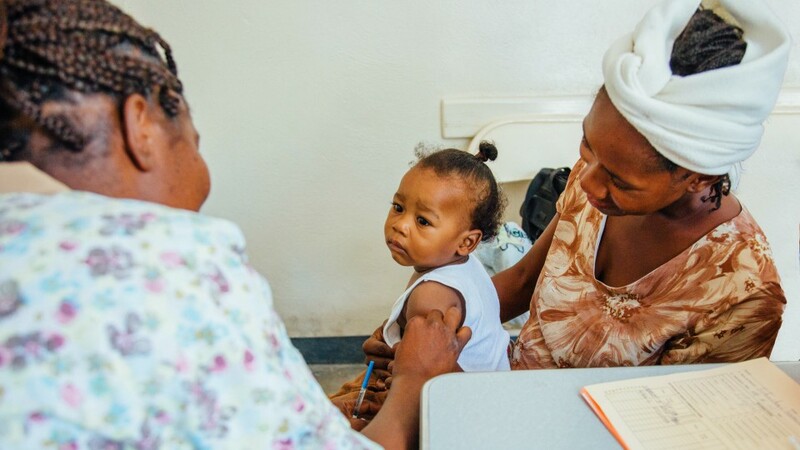 Access to vaccines mean that she’ll have a chance to grow up healthy and strong. Fedeline LOVES Greta, her family’s goat. 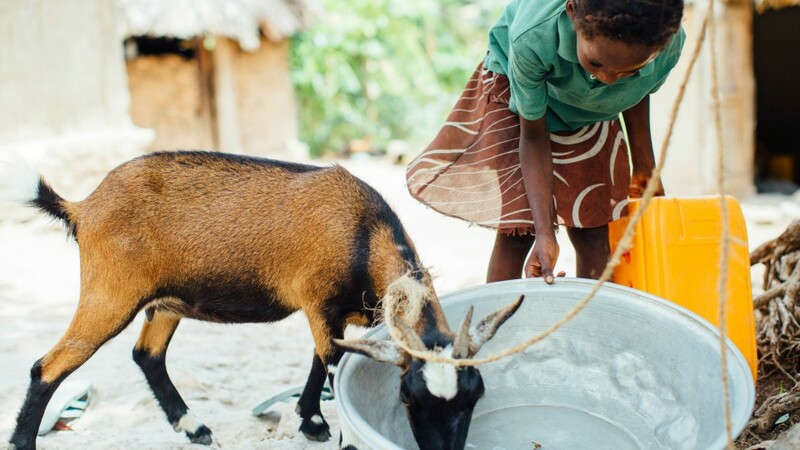 Greta gives the family a much needed source of nutrition and also adds to her family's income. 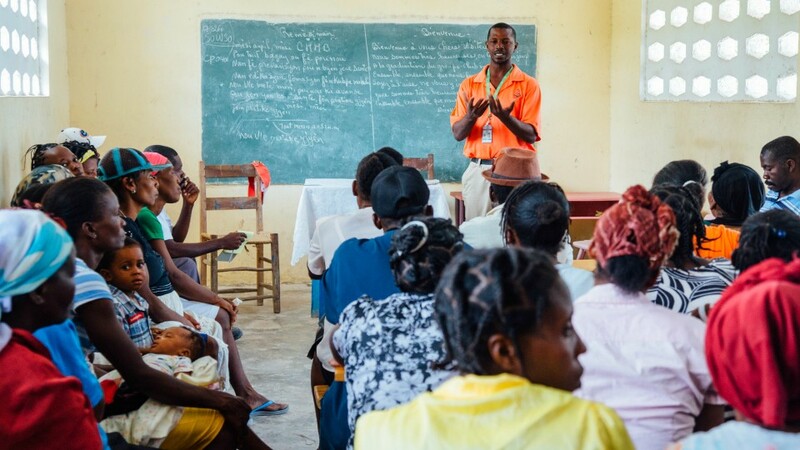 Community Health Worker, Guibert Ramilus, teaches mothers the health benefits of giving iron to their children. Lisena graduated from Mother’s Club empowered and confident in her abilities as a mother and provider. In Côtes-de-Fer, the new hospital is a dream come true, bringing quality care to nearly 50,000 residents. 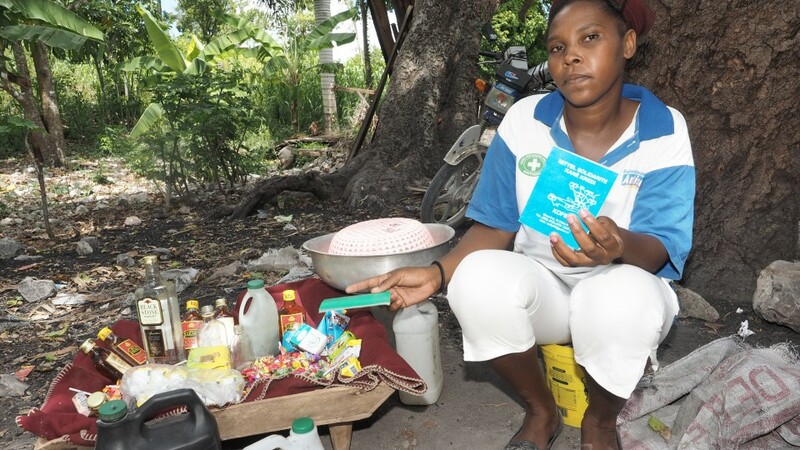 Thanks to a MUSO loan, Estapha Guerline was able to open a small business selling sundries in the market. We believe in high-quality healthcare for the most vulnerable. CMMB is working to transform the remote, impoverished Côtes-de-Fer region. The modern Bishop Joseph M. Sullivan Center for Health, which we built and opened in March 2017, now serves more than 50,000 residents who once lacked access to quality care. It is providing safe deliveries and surgeries, antenatal and postnatal care, pharmacy services and more. 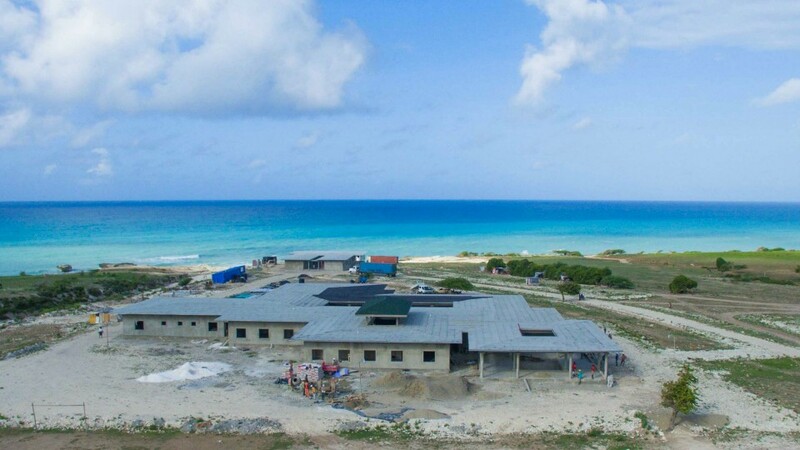 In addition, we strengthened existing clinics providing primary healthcare services through modest renovations and by strengthening the supply chain to prevent stockouts of medicines; by building local community health workers' capacity to provide care and refer clients; and by providing emergency transport vehicles. Nurse Angela has been seeing patients in these remote hills of for 20 years. Now, because of the new hospital, she can be confident in referring patients who need critical care. We believe in access to water and sanitation for all. Accessing clean water in Côtes-de-Fer is a daily challenge. Although springs in the mountains yield plenty of fresh water, the journey to access the water is often long and difficult, and girls like Rosemonde Faveur spend hours collecting water several days a week—hours that cut into the time they have available for the education that will help pull their families out of poverty. In addition, most families have no toilets. 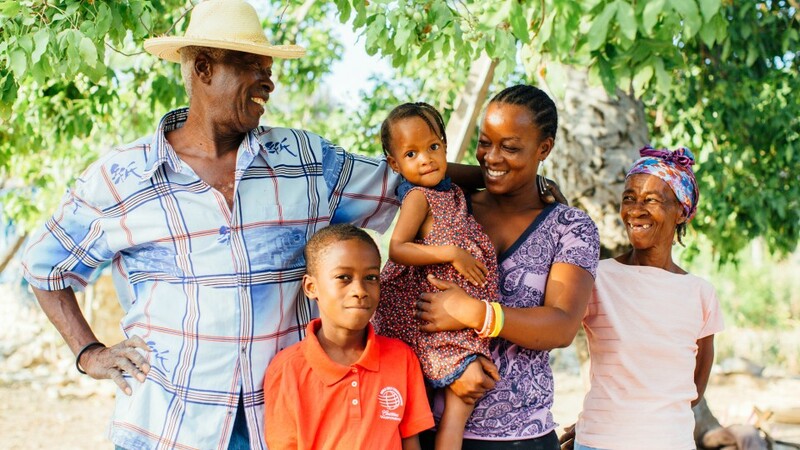 CMMB has worked with thousands of families to improve the water and sanitation situation. We have distributed water-treatment tablets and water filters; trained community members on the importance of using clean water and how to purify all water for drinking; and built community toilets and other infrastructure to meet local sanitation needs. We believe in giving mothers tools to keep their families healthy. 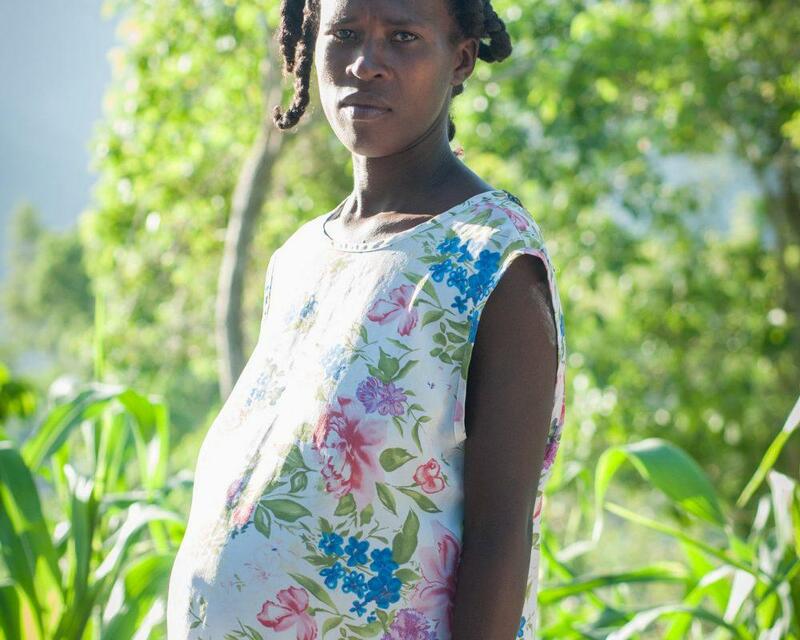 Claircine, a mother of three living in Côtes-de-Fer, is pregnant. Her first three babies were delivered at home because the journey to the nearest clinic was more than three hours away. 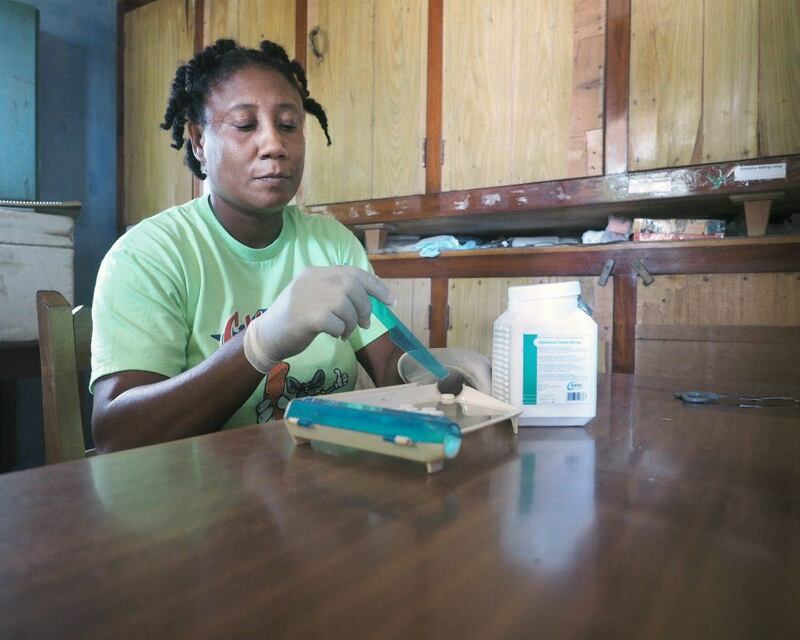 CMMB is working hard to reduce maternal and infant mortality via its Mothers’ Clubs program. Community health workers recruit mothers to join a 16-week program at which they will learn about UNICEF’s 16 Key Family Practices, a set of commonsense rules that help mothers raise healthy children. At the end of 16 weeks, they have the information they need to keep their families healthy as well as a certificate of completion that conveys stature within their communities. Self-esteem is a happy byproduct of the activity, which has benefited thousands of moms over the years.